My family and I recently traveled down to Virginia to spend time with his siblings before his brother was deployed with his new bride to Japan for 3 years. We had an amazing time and enjoyed every second that we had with them. While we were there we spent a great deal of time down in Papa’s Pub. My father-in-law is definitely a mixologist in the making. 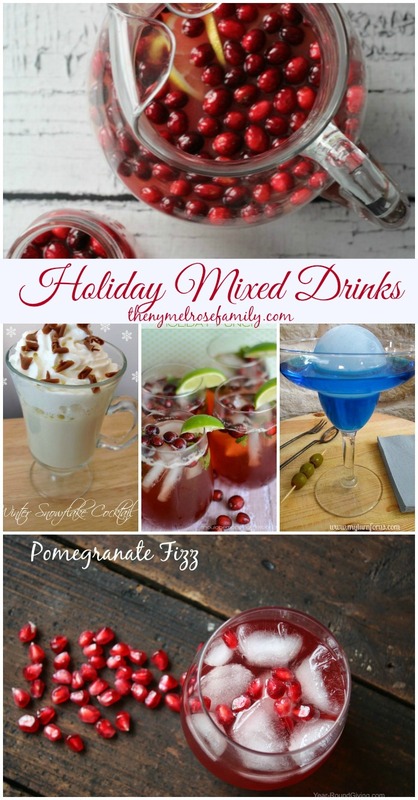 I collected some of my favorite Holiday Mixed Drinks from last week’s Whimsy Wednesdays that I can’t wait for him to make. Click NEXT to view the NEXT Holiday Mixed Drink in the collection. Um, yeah. I’ll be needing these recipes printed and stuck to my fridge for the holidays!